If you were to log on to Tumblr, the popular social blogging site, and scroll through some of the top posts, you might notice a trend. The bloggers of Tumblr are primarily millenials, people born after 1980 who came of age in the new millennium. However, despite the age of the site’s users, Tumblr is overflowing with photos and content reminiscent of eras past, particularly the style and art of the 1920s. This generation has harnessed new media to recall and aggregate evidence of old media through photos, scanned documents, and even film clips that are sometimes converted into moving image files known as gifs. Further digging through the Tumblr dashboard might lead you to a blog dedicated specifically to silent film intertitles, spreading their quirk words of wisdom through a medium their creators could scarcely imagine. It seems that this generation has latched to the “vintage” culture of the 20s; it is not uncommon to see people dressing as flappers for Halloween or toting their copies of The Great Gatsby as they travel (perhaps with one of the Barnes and Noble bags that prominently display the novel’s cover). In fact, I have heard the term “Gatsby Party” used in conversation among multiple circles of people, and I’m certain this will only continue with the release of a new film adaptation of the novel. One of my best friends once dreamed of holding a Gatsby style speakeasy party for her 21st birthday and carries her books in a Kate Spade bag sporting one design of the novel’s many covers. 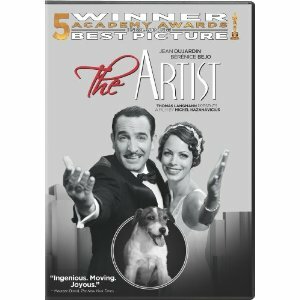 When Michael Hazanavicius’s The Artist hit screens in 2011, no one expected the quirky, silent, black and white film to become the runaway success it did. It began in limited release, taking up space in independent movie theatres, until the buzz surrounding it grew and prompted a wide, mainstream release of the film. In a time when we are told that people’s attention spans have greatly diminished, the fact that a 100 minute film with no spoken words whatsoever could hold and captivate an audience’s attention is nothing short of remarkable. I typically pay attention to independent releases, but when The Artist hit theatres, I was far from the only person who knew about it. People my age were blogging, posting, and tweeting about a film that you’d assume they’d ignore in favor of the latest superhero blockbuster. One of my friends, who had recently dragged me to see Transformers 3, asked if I wanted to see The Artist with her, much to my pleasant surprise. It seems my friends knew something about film after all. By the end of its theatrical run, The Artist achieved much more than success at the box office. This film from a bygone era left the 2012 Academy Awards with 5 statuettes, including the award for Best Motion Picture. Our film, the 1922 Flesh and Spirit, comes from the silent film tradition that The Artist honored, emulated, and made wildly popular once again. 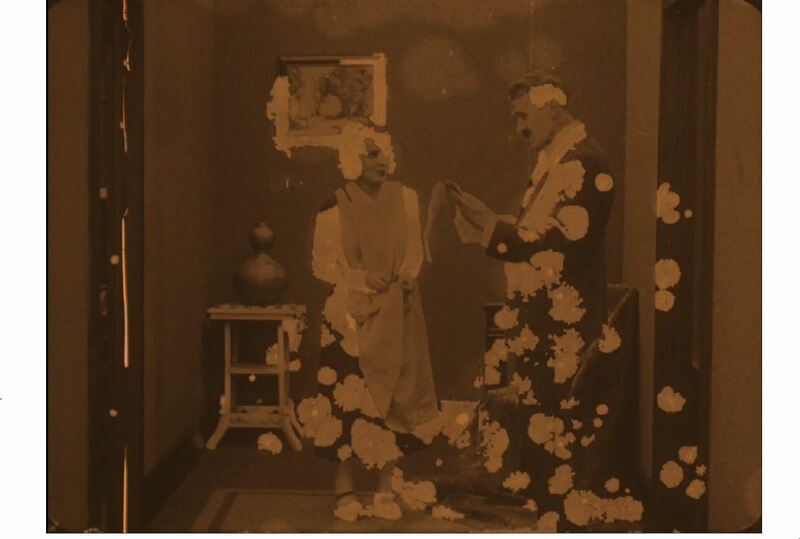 While the silent style of The Artist may seem like a quirky novelty to today’s audiences who are so accustomed to full sound and color, actual films from the 20s era were silent out of necessity. Flesh and Spirit did push the boundaries of filmmaking in its time: innovations in special effects allowed the makers of Flesh and Spirit to create ghostly touches. Drawers open and close on their own and characters appear translucent long before the advent of the sleek, seamless, computerized special effects moviegoers have become accustomed to. With the resurgence of 20s culture and interest in silent filmmaking, it seems as though we could not have chosen a better time to screen Flesh and Spirit. It is a part of the silent film culture that informed the making of The Artist, and if one small, silent film can win the Academy Award, who’s to say our little screening won’t be wildly popular among the Wilkes-Barre community and beyond? Paramount . . . in Wilkes-Barre? Step back in time and picture yourself as a member of the roaring twenties. Are you there? Excellent. If you earned an average income in the 1920s, it would be very common for you to go to the theater for entertainment. And not just any theater either: a movie palace. Movie palaces of the 1920s were far more extravagant than the movie theaters we know today. They were massive in size–even 1,000 seats would still be considered a small theater–and decorated in plasterwork. The atmosphere of the theater was equally, if not more, important than the film itself. The architecture of these palaces was often gaudy and modeled after Asian or Middle Eastern design, thoroughly bedecked in marble, chandeliers, and luxurious carpets. 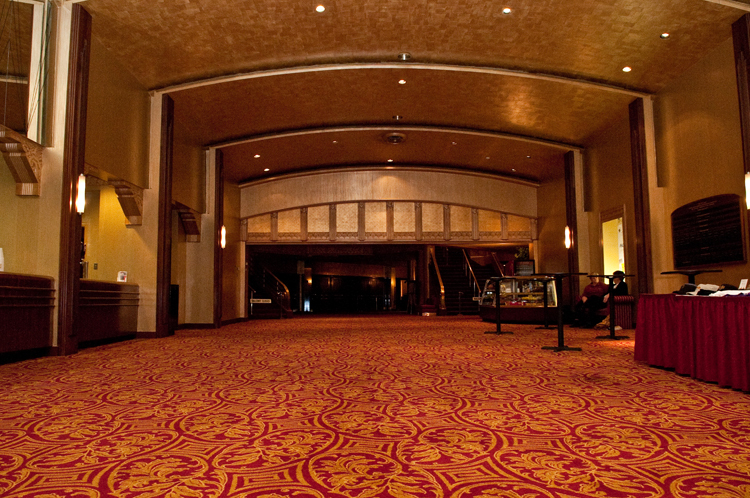 Movie-goers felt like royalty in these grandiose establishments. Finding it hard to imagine such a luxurious movie experience? Well some of these theaters are still around and available to tour, while some others have been renovated as cultural centers for the surrounding area. Even in our own Wilkes-Barre the Kirby Theater was in fact once a Paramount Movie Palace. Originally opened in August of 1938 as the Comerford Theater, this Paramount movie house was a paragon of excellence within the Wilkes-Barre community. 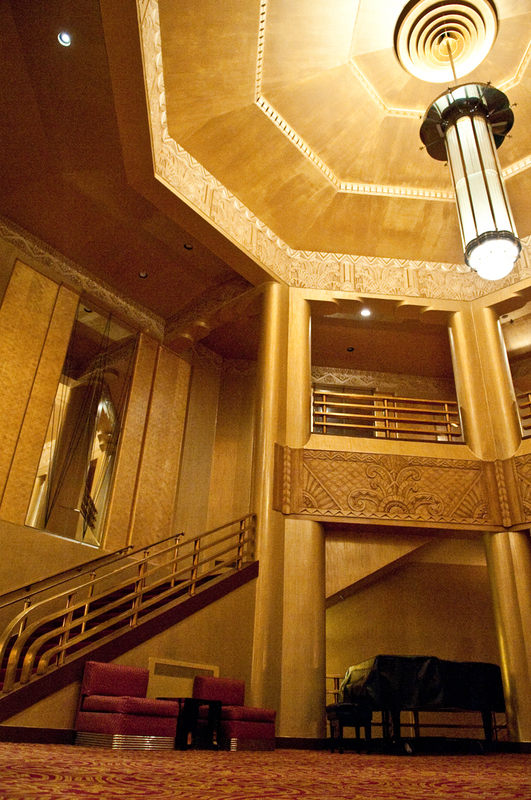 Decorated in art-deco style, the theater was bedecked with fluted columns, spacious lobbies, and rose-colored mirrors which enhanced the romantic mood. Decorations were accented in rich tones of copper and metallic blue, while the centerpiece of a fabulous chandelier hovered above the movie goers. 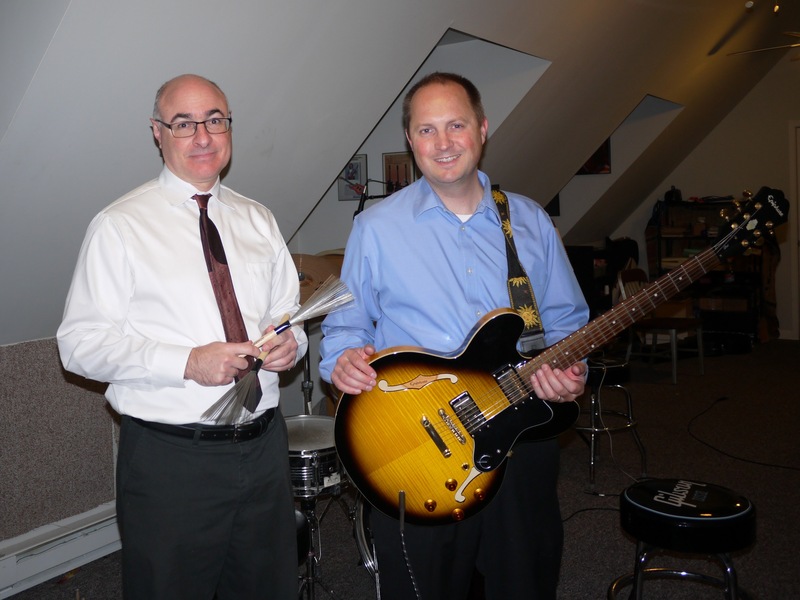 The first film shown in the Comerford was Alexander’s Ragtime Band, and people flocked to see it. There was an immense media presence and the Wilkes-Barre Record noted that it was the largest gathering of people in Public Square since the signing of the Armistice. The building of the Comerford, now known as the Kirby Center, was a symbol of local wealth, as well as local pride. The community rallied around it as a physical representation that Wilkes-Barre was a force to be reckoned with.